St. Patrick's Day, a religious holiday celebrated internationally on the 17th day of March, is named after Saint Patrick, one of the most commonly recognized patron saints of Ireland. It began as a Catholic holiday and became an official feast day in the early 17th century. Today it is more of a secular celebration. Patrick was born in Roman Britain in the 4th century into a wealthy family. His father and grandfather were deacons in the Church. He was kidnapped at age sixteen by Irish raiders and taken to Ireland as a slave. He was told by God in a dream to flee to the coast where he boarded a ship and returned to Britain. Once free, he joined the Church and studied to be a priest. Later he returned to Ireland to spread Christianity to the Irish. Folklore tells that one of his teaching methods included using the shamrock to explain the Christian doctrine of the Trinity to the Irish people. St. Patrick's Day is one of the leading days for consumption of alcohol in the United States and one of the busiest days of the year for bars and restaurants. Originally the color associated with Saint Patrick was blue which, over the years, changed to green. The phrase "the wearing of the green" means to wear a shamrock on one's clothing. 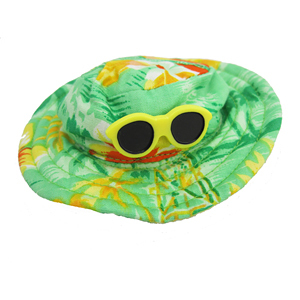 Today many people wear green clothing or green items since, traditionally, those who are caught not wearing green are pinched. So in honor of St. Patrick's Day, Kirby and I searched the internet for green things we love. 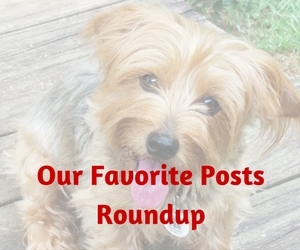 We were in luck and sniffed up some great green goodies! These online stores have so much to choose from. The prices range from sale prices to reasonable prices to get a loan so there's something for anyone's budget. 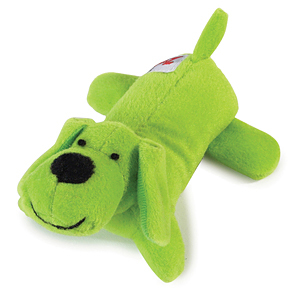 Kirby would love to get his paws on this 5" long plush dog toy with squeaker made by Zanies Neon Lil' Yelpers Dog Toy in Glowing Green. 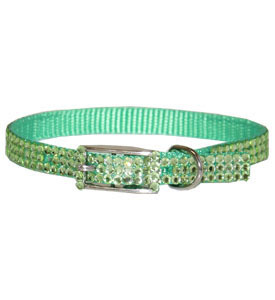 I would love to get my hands on this nylon pet collar covered in genuine Periodot Swarovski crystals including the buckle! 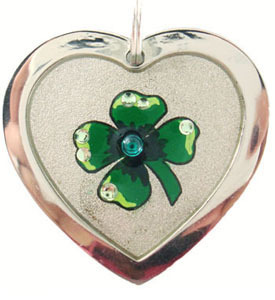 Of course a collar like that deserves a charm like this hand painted shamrock 4-leaf clover with emerald and peridot Swarovski crystals! 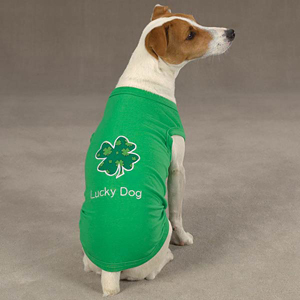 This machine washable polyester/cotton blend Casual Canine Lucky Dog tank top would be fun to wear at a St. Patrick's Day parade. Small - 10" Perimeter, 10-12" Chin Strap, Medium - 12" Perimeter, 12-14" Chin Strap, or Large - 14" Perimeter, 14-17" Chin Strap. Kirby, where's my credit card? You ordered what? 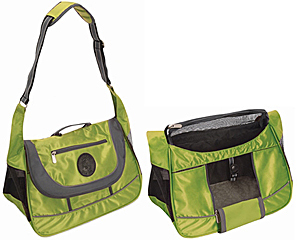 I know you like blue but I thought we agreed on green in honor of St. Patrick's Day? I know it used to be blue but now it's green! 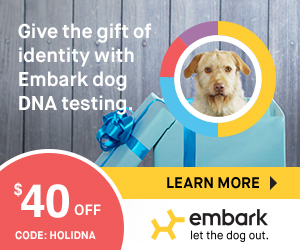 Besides I thought dogs were colorblind? Anyway, why don't you use that nose of yours and sniff up a leprechaun, maybe the kind that have pots of gold?